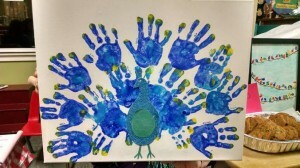 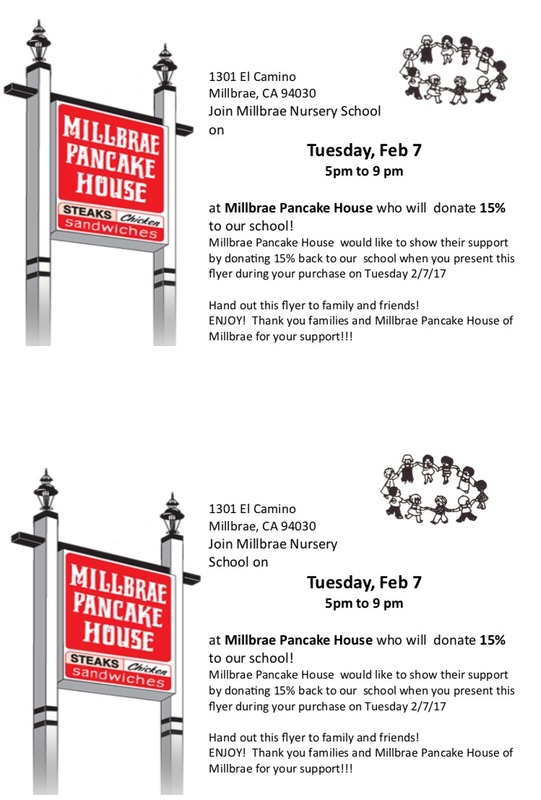 Join Millbrae Nursery School on Tuesday, February 7th from 5 to 9 pm at Millbrae Pancake House. 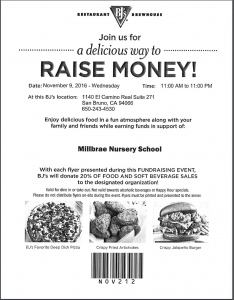 15% of food and drink purchase proceeds goes to MNS, bring your flyer. 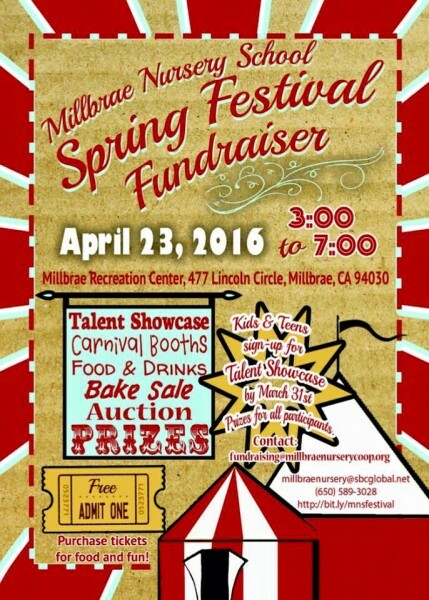 Join us April 23rd at the Millbrae Recreation Center for our Spring Festival Fundraiser!